ITIL needs more from outside in order to fully support IT governance. For the quality aspect Six Sigma is a strong contender. Since General Electric announced huge savings this “critical to quality” approach has become popular (an article around cost reduction for several well known companies is here). Six Sigma is a methodology that systematically improves processes by eliminating defects. The goal is to achieve exceptional quality among the competition by reducing effects to 3.4 defects (or less) per one million opportunities. Here is the rest of the short analysis on Sharon Taylor’s white paper for ITIL v3 (read part I here). From the excellent white paper that Sharon Taylor wrote for Axios we can foresee a bit more on ITIL v3. I’ll bring you more on this in the next post. 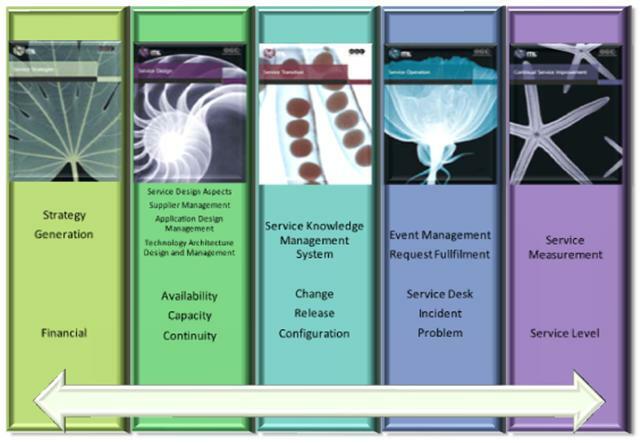 ITIL Service Management Practices will now be used instead of IT Infrastructure Library (relax… ITIL is still used as a standalone word). This re-branding is meant to stress the shift from IT process centric practices (ITIL v2) to a more general service centric approach aligned with business (ITIL v3). Actually, “Information Technology Infrastructure Library” was not a catchy phrase anyway for the ITIL acronym. 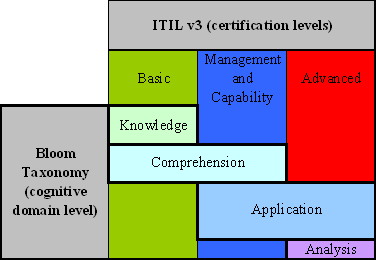 With the ITIL V3 Qualifications Statement from APM Group we now have a Bloom Taxonomy for Educational Objectives that’s being used as a reference to understand the new three-level certification scheme proposed by the International Examination Panel.